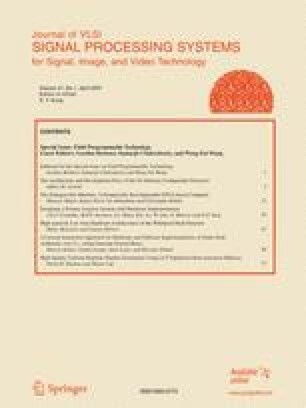 This paper presents a family of uniform random number generators designed for efficient implementation in Lookup table (LUT) based FPGA architectures. A generator with a period of 2 k − 1 can be implemented using k flip-flops and k LUTs, and provides k random output bits each cycle. Each generator is based on a binary linear recurrence, with a state-transition matrix designed to make best use of all available LUT inputs in a given FPGA architecture, and to ensure that the critical path between all registers is a single LUT. This class of generator provides a higher sample rate per area than LFSR and Combined Tausworthe generators, and operates at similar or higher clock-rates. The statistical quality of the generators increases with k, and can be used to pass all common empirical tests such as Diehard, Crush and the NIST cryptographic test suite. Theoretical properties such as global equidistribution can also be calculated, and best and average case statistics shown. Due to the large number of random bits generated per cycle these generators can be used as a basis for generators with even higher statistical quality, and an example involving combination through addition is demonstrated. S. Duplichan, PPSearch: A Primitive Polynomial Search Program, http://users2.ev1.net/~sduplichan/primitivepolynomials/, 2003. P. L’Ecuyer and R. Simard, TestU01 Random Number Test Suite, http://www.iro.umontreal.ca/~simardr/indexe.html. G. Marsaglia, The Diehard Random Number Test Suite, http://stat.fsu.edu/pub/diehard/, 1997. V. Shoup, Ntl: A Library for Doing Number Theory, http://www.shoup.net/ntl/.